On Saturday, March 14, Prairie students entered 81 events in the Wisconsin School Music Association District Music Festival: 31 Middle School events and 50 Upper School events. In addition to performing, students are required to introduce themselves and speak about the piece they will be performing. Andrew Herndon (2), Sara Wagers, Rachel Brown (2), Kyler Krenzke, Madeleine Heide (2), Mateo Garcia-Novelli, Nathan Engstrom, Nico Salazar, Elena Ganz, Elizabeth Olson (2), Mackenzie Muniz, Elena Ruffo, Spencer Kane, Laura Panthofer (2), Stephanie Kaser, Alex Harrity, Ellie Plachinski, Scott Isaacson, and an opera ensemble (Elena Ruffo, Nathan Engstrom, Ellie Plachinski, Annli Nakayama, Jason Bates, and Mathew Attipetty). Congratulations to those who participated in Saturday’s competition and good luck to those moving on to State! 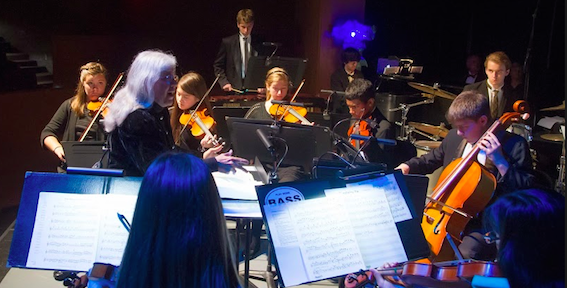 This entry was posted in All News, Featured, Learn More About Prairie, Middle School, Performing Arts, Upper School by Communications Department. Bookmark the permalink.